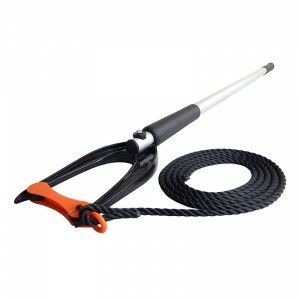 The original quick action boat hook has evolved into a must-have boating accessory with uses in a multitude of other situations. Since the 70s, the Swiftie-Matic has been the simplest and best way to moor your boat to a buoy. 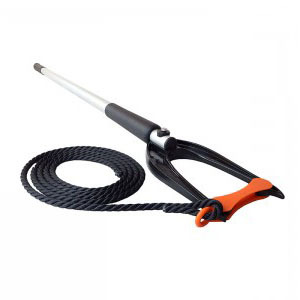 Made of high grade plastic, and available with a robust aluminium telescopic pole, this is a hard wearing product that will last for many years. 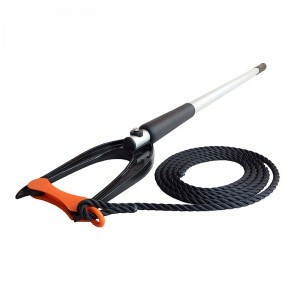 Its small compact head makes it ideal for passing a rope around an object that would otherwise be difficult to reach. The Swiftie can be used underwater and has been used for passing lines round objects under wrecks or running a line through an underwater mooring point. 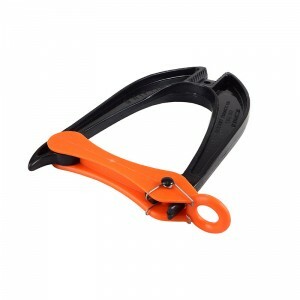 It can also be used to pass a line over a branch or scaffolding. Every year we find new and different applications this versatile product is being used for. 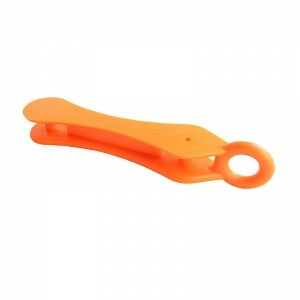 The Swiftie can be purchased as the head alone, or with an aluminium telescopic pole. 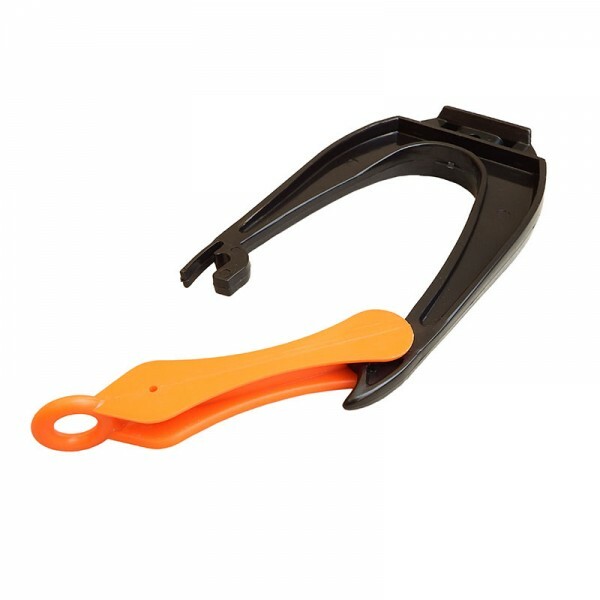 It can be attached to any pole by either a ¼” bolt or a hose clamp. To attach the head to a pole with a bolt, first mark out a point to drill through the pole by placing the head on the end of the pole to the point where the end of the pole rests against the plastic moulding. Once the head is in place, mark the middle point through the small hole now resting on top of the pole. Remove the head and drill through the pole with a ¼” or mm drill. Re-attach the head and run the bolt through the hole in the head and pole (It is advisable to use a washer to spread the pressure across the attachment point). This can now be attached by either a standard nut or a wing nut, again using a washer if necessary. 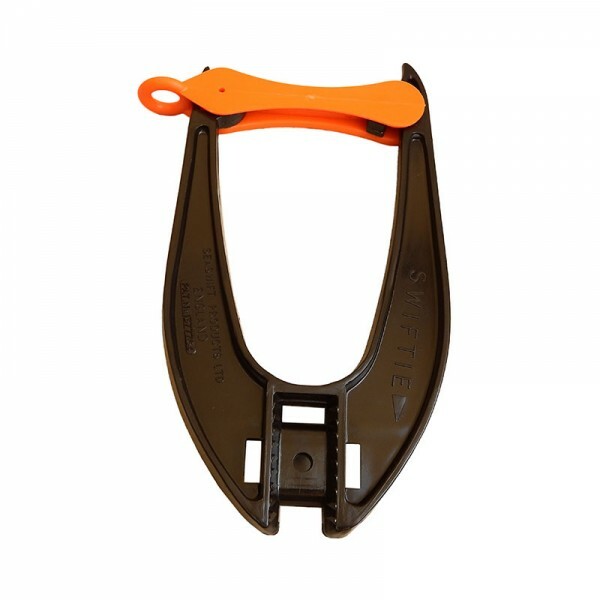 The Swiftie head has slots on either side of the attachment point to allow a worm drive hose clamp to pass through attaching the head to a pole. You can use a 1cm or ½ inch wide clamp to achieve a solid grip on the pole. This is of particular use when considering attachment to a sealed buoyant or telescopic pole. Keep a light tension on the rope when applying the Swiftie. This will assist the smooth running of the mechanism. The Swiftie is designed not to lose link arm during use. 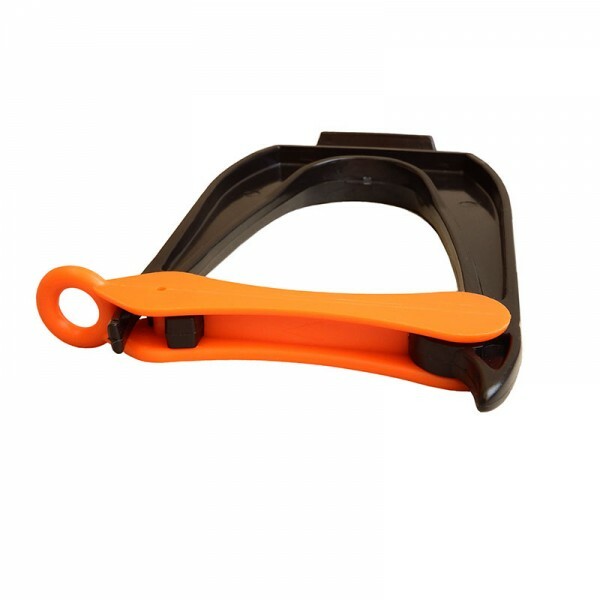 If the arm appears to lock during use then ensure that both sides are fully home before use. Should you wish to detach the link arm, this can be done by twisting the fork arms apart far enough to stop the link arm being able to engage the fork on one side.